April 22 - May 20: Annual Walmart campaign helping local Food Banks tackle hunger . During this period, Walmart & Sam's Club Store customers are encouraged to donate $1, $2, $5 or another amount at registers. These donations directly benefit Mid-South Food Bank. Every $5 given generates 15 meals. Product Purchase: Each participating item purchased at Walmart/Sam's Club will unlock a donation equivalent to one meal secured by Feeding America® on behalf of local member food banks from each supplier. All funds raised through in-store purchases will benefit local member food banks. Donations will be localized based on where each item is. Local Impact: There are over 409,000 people in the Mid-South confronting food insecurity. Mid-South Food Bank, in cooperation with nealry 300 Partner Agencies like soup kitchens and pantries, provide assistatance to over half this population, but rely on food and monetary giving to get this done. Your contributions provide nutiritous meals and hope to our neighbors residing in every zip code. Below are some examples of how real people are impacted by your donations. T wice a month since 2006, Billy Kelly prepares enough rice and chicken soup in the morning at the Society of St. Vincent DePaul soup kitchen to hand 200 cups of it to visitors looking for a hot meal. The retired military man despises the early alarm clock, but volunteering along with others offers tremendous satisfaction, he insists. “I’ve never left here without being on the highest high,” he said. The soup, along with an apple, chips, two sandwiches and other snacks are examples of food, plus lemonade or coffee in the dining room. The Society of Vincent St. DePaul kitchen relocated into the existing building, formerly a Methodist church, in 2012, steps away from Methodist Hospital. It’s one of almost 272 Mid-South Food Bank Partner Agencies. During one recent weekday serving, volunteers were treated to catfish and hush puppies that were donated from the Knights of Columbus. Becky VanDeren, who oversees the soup kitchen, said the combined support from a rotation of kitchen volunteers and from community donations is impressive. St. Vincent DePaul Soup Kitchen opens its doors for people needing a meal and a warm smile each morning, every day of the year. Between 20 and 25 percent of the visitors are homeless, VanDeren estimated. The rest are people whose income levels are insufficient. Most are return visitors. Not all come strictly for a nutritious meal. Some seniors enjoy the walk in order to exercise and receive fresh air – a respite from the streets. Roosevelt Sales, 60, started visiting several times a week for camaraderie beginning more than decade ago when the kitchen was at another site. The Air Force veteran says without these visits he would be left isolated in his high-rise room. “People here are nice, the food is excellent and it offers a chance to socialize - to chit chat with others about what’s going on in the world,” he said. 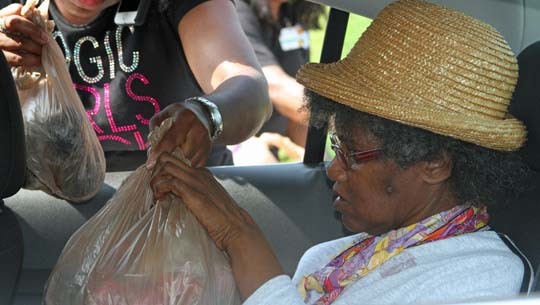 Fran Stanley, 66, was in one of over 100 vehicles at the Mid-South Food Ba nk Mobile Pantry distribution at Hickory Hill Community Center in February. She was excited to get her first box of food. “A family friend told me about the extra food. It got me excited and then emotional,” explained Stanley, who was a nurse for 37 years before retiring in 2012 due to health issues. Stanley often keeps some of her several grandchildren at her home, so the food she received that day will also help alleviate the pressures of balancing expenses and getting enough of the healthy food she needs. Th e Mobile Pantry distribution that day was the second of several planned monthly distributions in the southeast area of Shelby County that has been identified as having a high food-insecure population. The food, totaling 20,000 pounds, included packaged salads, grapes, fresh vegetables or canned ham and other goods. Additional Mobile Pantry distributions have been taking place in two other areas of the county in January. Clients received food based on the number of people in their households, and boxes contain enough food to last at least two weeks. Most people who receive SNAP benefits (food stamps) say they provide enough food for two to three weeks at best. 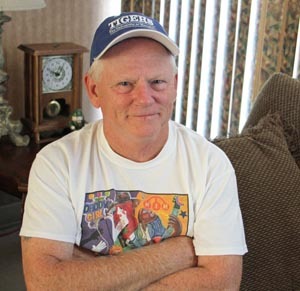 Six months ago, Steve Turner, 54, stumbled off of a ladder leaning high over a roof. His cr ash injured his lower back which led to medical bills and eventually disability, as he is unable to work as a carpenter. When bills squeezed his finances, getting enough food to eat became the compromise. That’s when his sister told him about how he could receive extra food at Interfaith Food Pantry in Hernando, Mississippi. “I live by myself, and I could see that I was going to need some help,” he said. Without a working vehicle, a friend dropped Steve off at the Pantry, then picked him up later as he waited near the Pantry’s entrance with several bags of canned food items and a sack full of bakery items. The second time Russell Price, 56, underwent drug rehabilitation through the Veterans Administration,he says it was about accepting “total surrender” to ove rcoming his addiction. Nearly nine months later, Russell is still sober and straightening out his life, thanks to support and a temporary place to live at Alpha Omega Veterans Services, a charitable organization that helps homeless and distressed military veterans reintegrate back into society. 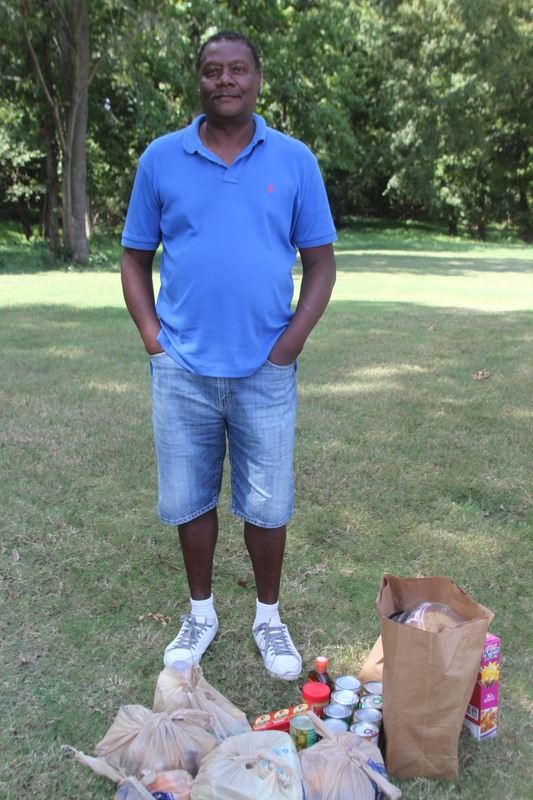 His road to recovery includes three nutritious meals a day at Alpha Omega, with food provided from Mid-South Food Bank. “The fact is, food is hard to come by every day when you are an addict because you put all your money toward drugs before anything else,” Russell said. 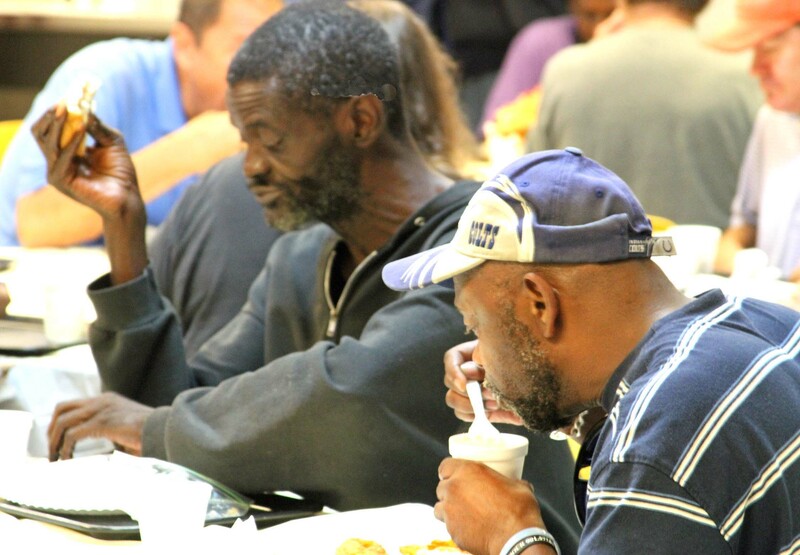 Lack of food and unhealthy eating combined with drug addiction is especially challenging for man y homeless people. Russell is a Navy veteran and one of 18 veterans who live at Alpha Omega Veterans Home. He is now a student at the University of Memphis studying to become a counselor. Donnie Newbele and Mary Hoyle, resemble many retirees whose individual r etirement pensions make them ineligible for SNAP benefits, yet after paying necessary bills, there's still not much left for food. So they rely on assistance at the Mobile Pantry distribution at Unity Temple in Jackson. Donnie, 68, was a chef for 34 years, and Mary, 63, worked in manufacturing. "Like a lot of folks who we know, we are what you call in-betweeners,"
Mary said. "We are barely hanging on." Donnie agrees. The food they receive at the Mobile Pantry helps a great deal, since they are both seniors living on fixed incomes. "With the help we are living, not just surviving," he said. Mobile.We talk about what we receive and compare dishes we might cook using the food." Warnella Wilkins recalls the first time she visited the Fishes and Loaves Food Pantry at Riverside Missionary Baptist Church, located across the street from her ho me in a senior towers residence. She was a little anxious and not completely sure that she would receive the food she needed. Three years later the short walk across the street to pick food up one day a month is part of her routine – and it makes her smile frequently. It’s no coincidence that her life has become both happier and healthier, she said, thanks to the week’s collection of high nutritious food and an intentional change in her lifestyle. “I really appreciate the cans of vegetables. I’ve learned to cook healthy meals with them – that’s mostly all I want to eat now,” she said. 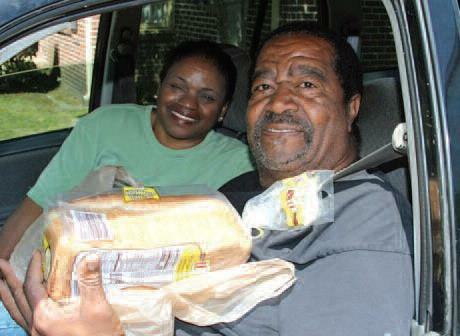 Two years ago Wilkins, 65, met a new resident, Ernestine Dishmon, 64, and told her about the distributions that happen bi-weekly at Fishes and Loaves. Now the friends, who both live alone, visit the pantry together. They counted almost 10 others at the senior high rise they know who visit the pantry. 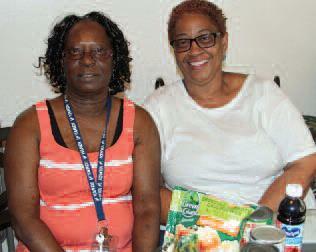 “The food I receive will last me all month, and I especially enjoy the cereal and chicken I get,” said Ernestine. Without the boxes of food, Ernestine says that she and many of her friends would be scraping by to get the fruit juice and vegetables they need.